I finally went out and bought myself an Instant Pot. I cooked my first chicken dish in it last night and my family loved it. I was looking for recipes that satisfy the keto diet plan that my husband and I are on. I found a few but didn’t have the correct ingredients so I decided to modify a few things and create my own. 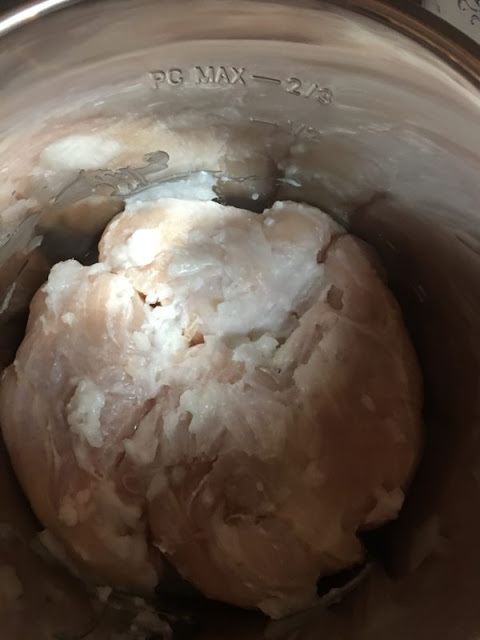 I placed 4 boneless skinless chicken breasts inside the Instant Pot. I added 1/4 cup of coconut oil. You can probably melt it first but I just dumped it in and rubbed it all over the top of the chicken. 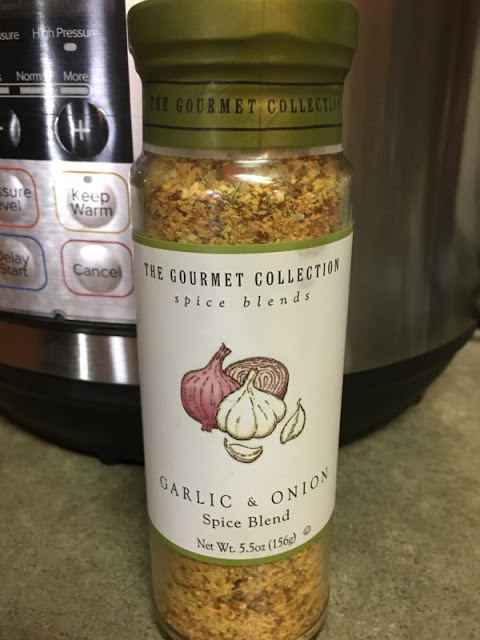 Several weeks ago, my husband brought home this garlic and onion spice blend. 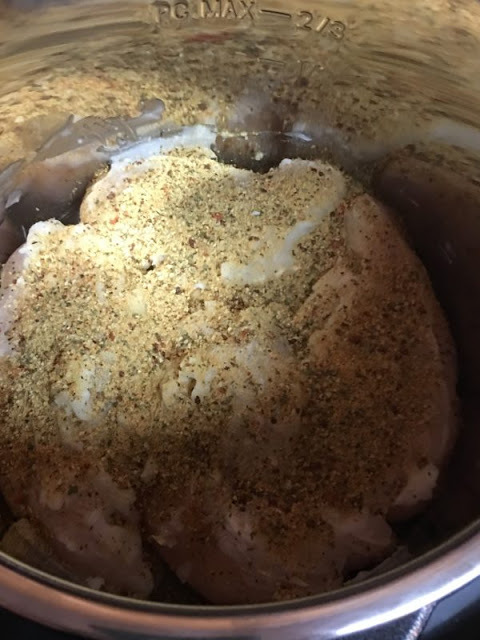 I sprinkled 3 Tablespoons all over the top of the coconut rubbed boneless skinless chicken breasts. That’s it. 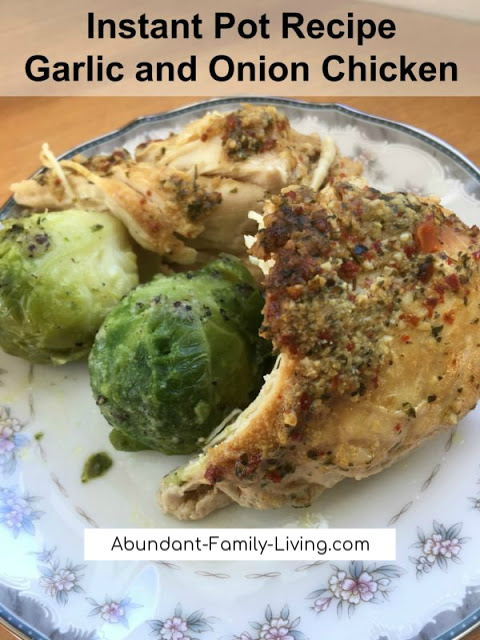 Throw in 4 boneless skinless chicken breasts, dump in 1/4 cup coconut oil and rub it all over. Sprinkle on 3 Tablespoons (more if desired) of a garlic and onion spice blend. 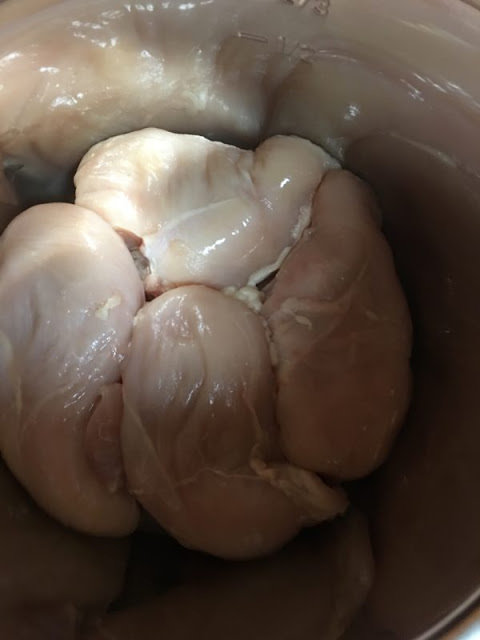 Now, you’re ready to cook it. Lock the Instant Pot Lid. Make sure the pressure release is set to seal. Then, set the timer to 35 minutes. Follow the directions for proper and safe pressure release when the timer goes off. If you’re using a different brand pressure cooker, follow the directions for your pressure cooker. The result was amazing. The chicken was SO tender. It looked and tasted delicious. I served it with a side of brussel sprouts. I like the Instant Pot a lot. I had dinner ready in 45 minutes start to finish. 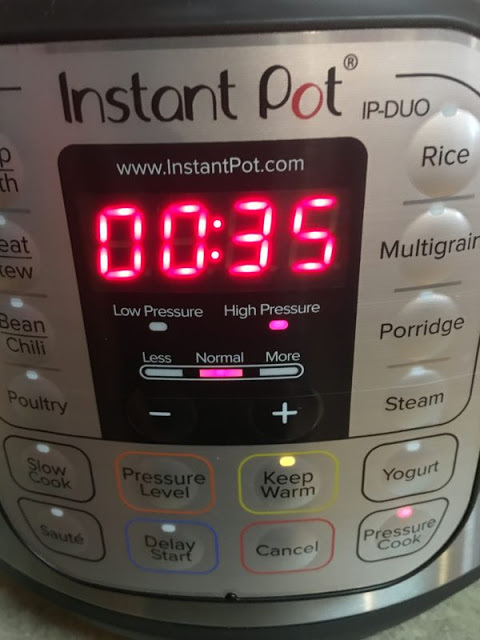 I’ve always loved my slow cookers but the Instant Pot is perfect for evenings when you get home late or you don’t feel like spending all evening in the kitchen. You can throw your favorite ingredients in the pot and be ready to eat in less than an hour.